Together with her horse, Rajah’s Rave, Abbie competed at her first FEI Small Tour level competition at the 2015 Boneo Park Classic on the Mornington Peninsula, Victoria. Equestrian competition is a dangerous and sometimes unpredictable sport and the events’ First Aid was carried out by two St Johns Ambulances – both fitted out by Mader. Stepping up to FEI Small Tour level is no easy feat to complete and Abbie has been training both herself and Rajah for nearly five years. Originally Abbie had aims of finishing in the top twelve combinations out of about thirty that were to start in the competition. Competing against the country’s top riders and professionals from nearly every state Abbie had her work cut out for her. The pair finished seventh on the first day of competition, sixth on the second day and fifth on the third day. After combining these results she was placed overall fourth in the FEI Small Tour Championship! 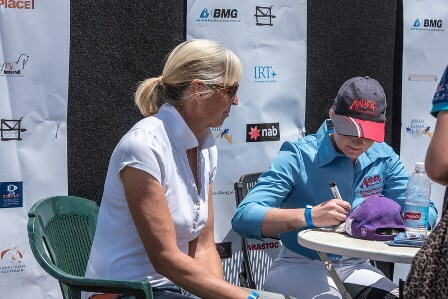 Upon completion of competition Abbie signed autographs alongside Jeremy Janjic – recently selected to represent Australia at the forthcoming Hastings CDI3* at Grand Prix level in New Zealand in March - and also Olympian Mary Hanna. Mary has represented Australia at four Olympic Games and at three World Equestrian Games all in the sport of dressage. 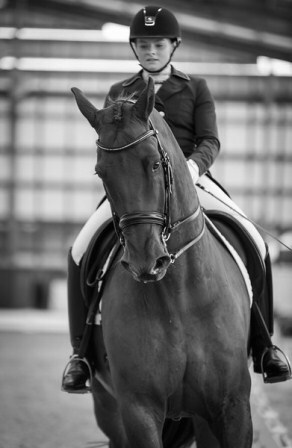 Not only this, Mary has been the Australian National Grand Prix Champion on six occasions – Grand Prix being the highest level of dressage in the world. Below you can see photos of Abbie proudly signing away with her Mader cap and shirt! Photos are with thanks to Ozdressage and Lisa Sultana Photography.